Welcome to H.B. Fishman & Co., INC.
H. B. Fishman & Co., Inc. was established in 1979 by Herbert B. Fishman, B.C.E.,M.Met.E. to fulfill a need in construction consultation specializing in moisture protection for industrial, institutional, historical and residential facilities. 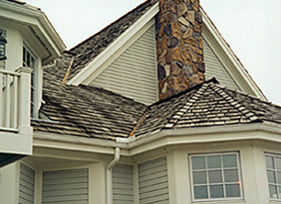 Emphasis is placed on roofing and waterproofing. Services are provided for litigation, investigation and inspection, design and specifications for new and renovative roofing or waterproofing projects. Our dedicated individuals maintain the highest standards of excellence while incorporating the latest in CAD and investigative tools as well as utilizing an extensive manufacturers product library in daily activities associated with an ever changing and complex industry.